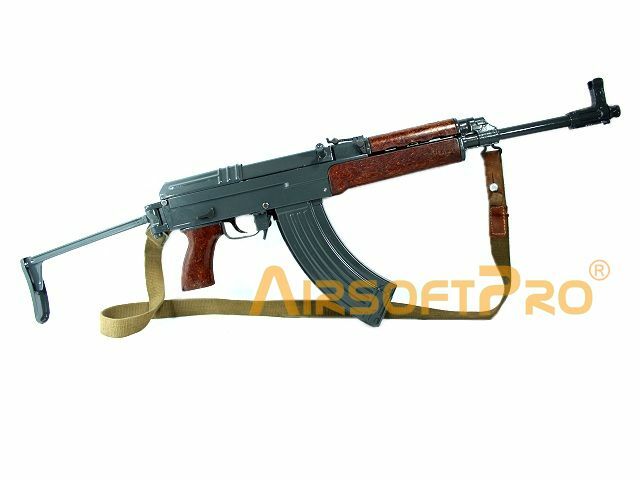 AirsoftPro vz.58 V is the first GBBR airsoft replica of the legendary assault rifle vz.58. But this is not the first product. Already in 2006, in cooperation with the friends, we made 1:1 AEG prototype. Was introduced on AirsoftCup in Prague. Much earlier than competitor launched its first commercial product. 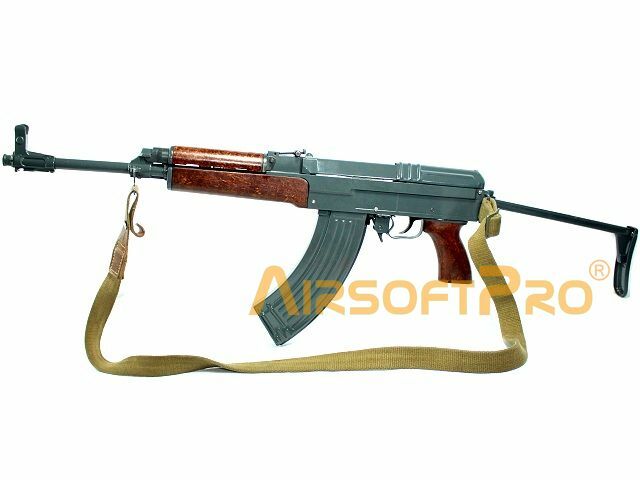 However, due to a wave of cheap electrical weapons from China, we have decided not to start with the mass production of the AEG version. 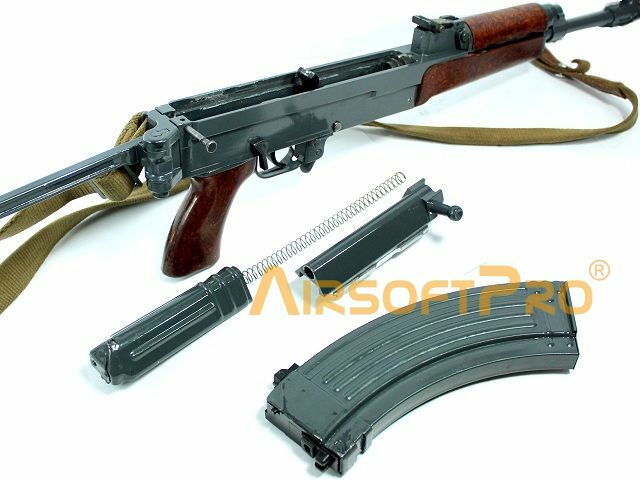 Small custom production, even in a steel body from the real weapons with quality parts, the price of the product increased disproportionately. Therefore, in 2010 we launched conversion set, which satisfed a number of our customers. Airsoft gas guns slowly returning on the market. They are attract due their high realism. They are not powered by hand cocking or electrically with a gear mechanism. Power is given by compressed gas, propane. Often called as a Green or stronger version Red Gas. It is filled in to magazine body. Together with the BBs. When player pull trigger, a few amount of this gas comes from the magazine to the barrel and shot BB and also move receiver back - called Blowback. This is why the gun has name GBBR - Gas Blow Back Rifle. One full gas magazine can shoot about 40 BBs (depending on the size of the tank in the magazine). Then you have to fill magazine again. 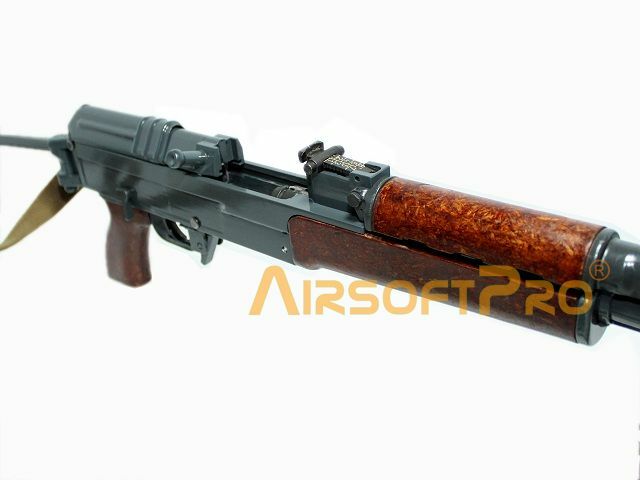 The above described method is common to most airsoft gas guns. Has disadvantages such as the need for taking a bottle or problematic firing at lower temperatures. A huge plus is realistic weapon functions. These, mostly metal, replicas have internal trigger mechanism very similar to the real one. The gun has a real field take down, require cleaning and lubricating. When you insert magazine, you have to pull receiver and load first BB from the magazine to the chamber. For each shot there is a subsequent 'kick' back and reloading. The gun can shot semi or full auto. It provides great metal clicking sound and mild recoil. 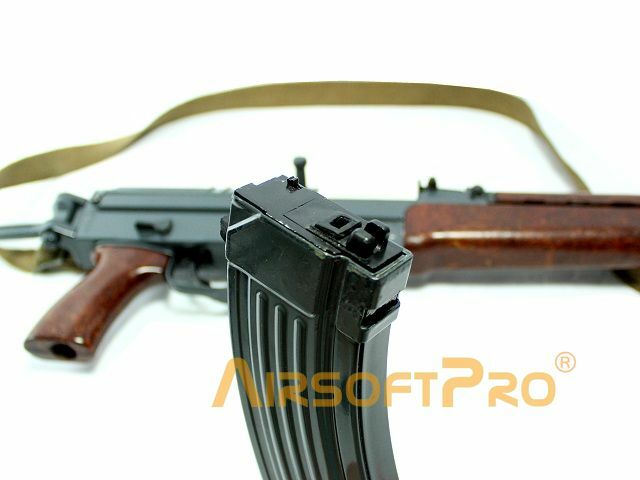 After shot out all bullets from the magazine (which usually has a more or less real capacity), the receiver remain as a real weapon in the back position. This presented gun works as has been described above. The body is manufactured on CNC machined from a block of aluminum alloys. The barrel is (to increase the weight) made of steel. Many parts are obviously taken from real weapon. Sights, pistol grip, stock, receiver cap...etc. The selector switch works exactly as a real weapon.